Here are the inside stories of Vanity Fair scoops and covers that sold millions--the Reagan kiss, the meltdown of Princess Diana's marriage to Prince Charles, the sensational Annie Leibovitz cover of a gloriously pregnant, naked Demi Moore. In this cinematic audiobook, the drama, the comedy, and the struggle of running an "it" magazine come to life. 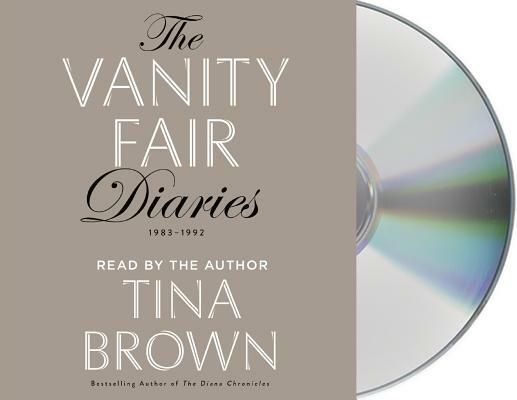 Brown's Vanity Fair Diaries is also a woman's journey, of making a home in a new country and of the deep bonds with her husband, their prematurely born son, and their daughter. TINA BROWN is an award-winning writer and editor and founder of the Women in the World Summit. Between 1979 and 2001 she was the editor of Tatler, Vanity Fair, and The New Yorker. Her 2007 biography of the Princess of Wales, The Diana Chronicles, topped the New York Times bestseller list. In 2008 she founded The Daily Beast, which won the Webby Award for Best News Site in 2012 and 2013. Queen Elizabeth honored her in 2000 as a Commander of the Order of the British Empire (CBE) for her services to overseas journalism, and in 2007 she was inducted into the U.S. Magazine Editors’ Hall of Fame. She founded the Women in the World Summit in 2010 and launched Tina Brown Live Media in 2014 to expand Women in the World internationally. She is married to the editor, publisher, and historian Sir Harold Evans and lives in New York City.